What’s the opposite of a green thumb? Well, whatever it is, I have it. I’ve never had a way with plants. After managing to kill bamboo, I resigned myself to a life devoid of gardening. I would live in a sky-scraping apartment in a sprawling city with no land to call my own. 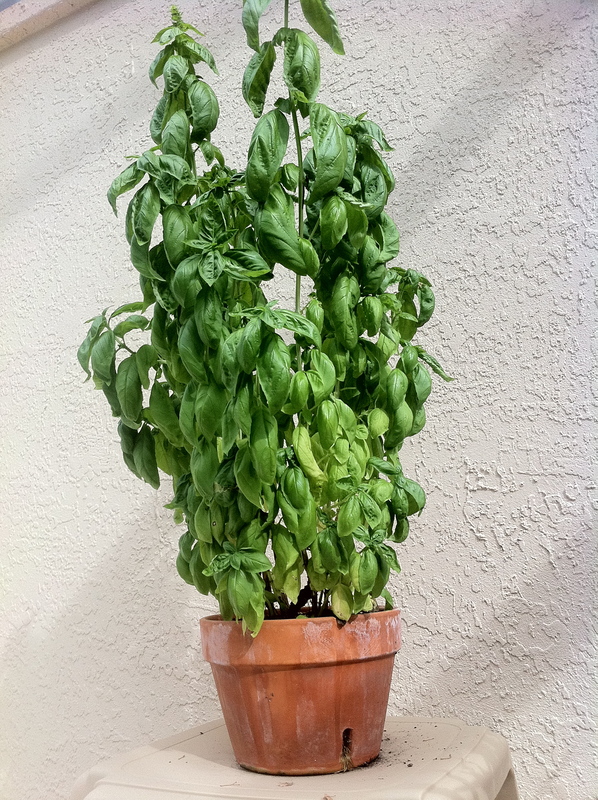 That all changed with this basil plant. This little thing won’t stop growing. 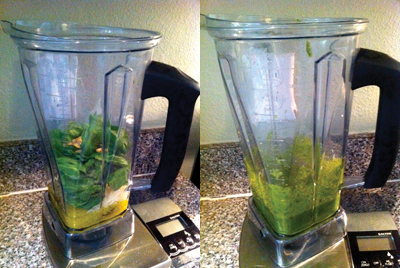 I confess, I’ve been extra diligent in monitoring its health because of this pesto recipe. It’s absolutely fantastic and could not be easier to make. I love going outside and picking the ingredients right off the stem. Pesto is so versatile. This would be delicious spread on a french baguette with sliced tomatoes and fresh mozzarella. 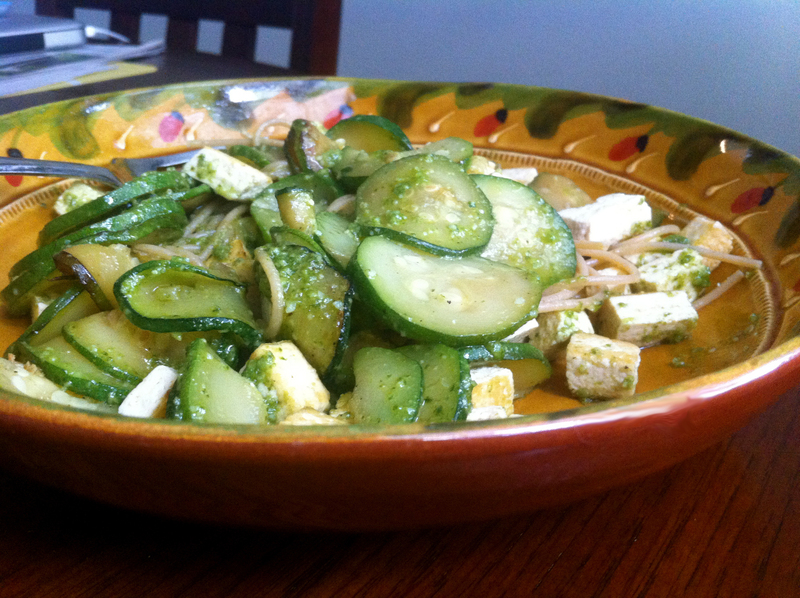 I’ve been eating mine with whole wheat pasta, sauteed zucchini, and tofu. A little bit goes a long way. Place all the ingredients, except salt and pepper, into a blender or food processor. Blend on medium-high speed for 1 minute. Scrape down the bowl if necessary. Season with salt and pepper. This looks amazing. I can’t wait to try the pesto but I am not lucky enough to have a basil plant. Love yor recipes! !